Welcome Vacationers: Looking for a Cape Cod Vacation Rental? This Cape Cod vacation rental request was posted on January 05, 2019. The vacationer was looking for a place that Sleeps 8 with 4 Bedrooms in Dennis during the week of July 13 - July 27 2019. The property needed to have Air conditioning, BBQ/gas grill, Cable/Satellite TV, Deck/porch/patio, Internet/Wifi, Outdoor shower, Washer/dryer, Dishwasher and be Close to beach, Water view. 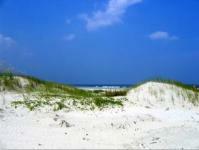 Attention Vacationers: Looking for Cape Cod Vacation Rentals?